Dave's Lounge is moving to the radio! Starting in April, Dave's Lounge will be a weekly radio show on WHUP-LP FM in Hillsborough, NC. This page will answer a few questions about the changes in the show's format. When will Dave's Lounge be on the air? Starting on April 10, 2016, Dave's Lounge will air on Sunday afternoons from 3:00 PM to 5:00 PM Eastern Time, which is 1900 UTC, 8:00 PM in London, and 9:00 PM in most of western Europe. How can I listen to the show live? If you live anywhere else on the planet, go to whupfm.org and click on the “Listen Live” button. You can also listen to WHUP on TuneIn.com, via this link. What if I'm unable to stream the live show? WHUP records and archives all their shows and makes them available to stream online for up to two weeks. You'll be able to stream shows from this page. Will you continue to distribute the show as podcast? I would certainly like to. 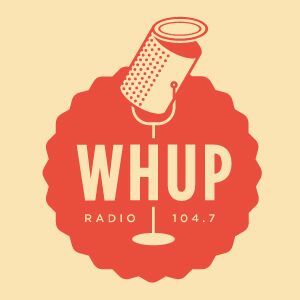 WHUP records every one of its radio shows and makes them available for streaming for two weeks after air. My goal is to get access to those recordings and distribute at least a portion of them over the podcast feed. If, however, I am unable to continue podcast distribution for whatever reason, I'll make an announcement and point people to the Mixcloud page. Keep an eye on the Dave's Lounge Facebook page and Twitter feed for details on this. So why exactly are you moving Dave's Lounge to radio, anyway? Honestly? Over the last few years, producing the podcast has felt like more of a chore than a labor of love, and I felt it was time to shake up my routine and do something different with it. A friend of mine has a show of his own on WHUP, and he suggested I submit an application to do my own show. So I did, and it lead to this — and to me getting a bit more excited about doing the show again. What if I want to make a request during the live show? I'll be following my Twitter replies during the show, so send an @ reply to @daveslounge, and if your request fits the style of the show and I have it with me — I can only carry so much music on my iPad — I'll play it for you. Will there be opportunities for guest DJs? Yes! In the future, I plan to open up the 2nd hour of shows to other DJs who want to produce their own 1-hour downtempo set. I'll put requirements and suggestions in this space soon. Will you continue to add music to the Dave's Lounge Spotify playlists? Absolutely, and only music from indie artists and labels. If we live in a streaming world now, we should help direct the royalties for those streams to the artists and labels that get it. Here's a link to the Dave's Lounge Spotify playlists. How do I get my music on Dave's Lounge? Same as before. If you make good downtempo tunes, email me at daveslounge@gmail.com, and I'll give it a listen. Will you continue to accept donations for the podcast? Maybe. There are some FCC rules that I need to research a bit before I can say for certain. If you've signed up to make monthly donations to the podcast, I thank you for your support, but I won't be mad if you decide to discontinue that support, especially if I have to discontinue the podcast. I'll post more info here as I get it. If you have any other questions about this transition, drop me a line at daveslounge@gmail.com.